Every Eat My Dust driver should possess the practical racing skills and the knowledge of the automobile’s engineering and history. For example, do you know who Karl Friedrich Benz is and what is his contribution to our world? This German engine designer and car engineer has been credited as the pioneer and inventor of the petrol-powered automobile, and the founder of the famous Mercedes-Benz. Let us take a trip down the automotive Hall of Fame and learn about the facts to help you become a true racer! 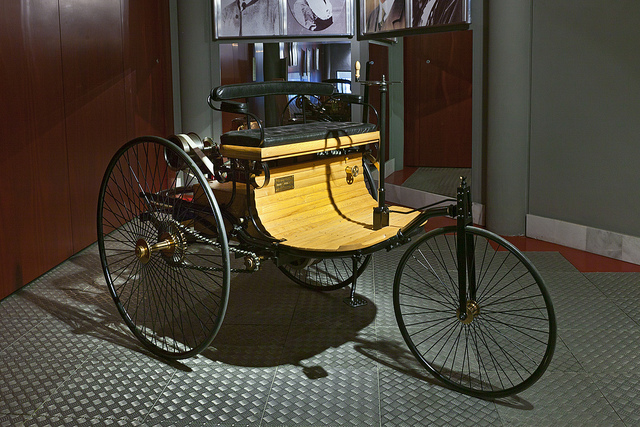 The birth of the first car ever made in modern automobile history was in 1886. This car contains a petrol engine, which is an internal combustion engine with spark-ignition. It was also the original three-wheeled vehicle, which is a light framed tricycle. The internal-combustion engine has contributed to the technological advancement of cars today. This engine consists of a group of reactants that when collided, will produce working fluids for the engine. 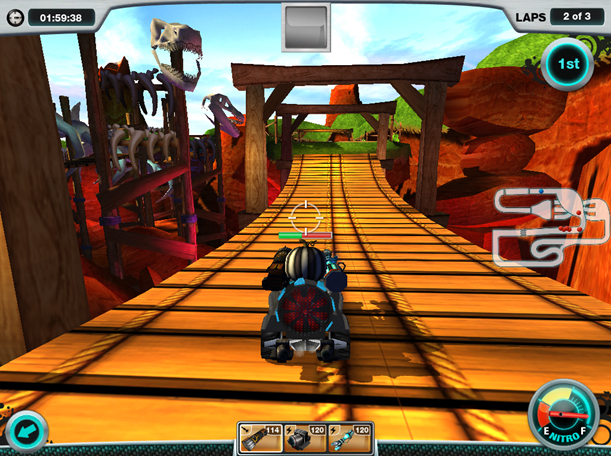 The products will release energy and heat, which gives the car power to move. 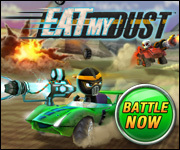 Do you know what are the special characteristics of each Eat My Dust team? Regardless of the team that you have already chosen, it is important to learn about your enemies so that you can find loopholes that can help you beat the opposing team and win a race or a battle against the zombies. The drivers on this team are known for their fierceness and strength. They are courageous and unafraid to go head-to-head with their enemies. They never back out of a race or battle. They are known for their legendary skills and techniques at racing, dusting enemies, and destroying zombies. These drivers are known for their intellect and the element of surprise. They are cunning and crafty, but extremely loyal to their teammates and the team’s success. This team uses their brains instead of their brawls to get ahead, and they never refuse the chance to sneak up on an enemy and dust them by surprise! Which team do you think you should belong to? Pick a side and let us know in the comments! Thousands of years ago, Egypt’s might was known across the world, its power embodied in its massive pyramids, towering statues of deities, and beautiful hieroglyphics of pharaohs and Egyptian life. As the sands of time swept through the once-mighty nation, its history has been preserved in ancient relics. However, many secrets dwell within the tombs, waiting to be claimed by a brave soul. According to Egyptian legend, Ra, the God of the sun, harnessed an incredible power drawing from solar energy. As the sun God, Ra was unparalleled in his strength and speed, being able to wield the sun’s energy and travel at the speed of light. Due to his abilities, he was the unquestioned head deity and ruler of Egypt. However, Ra’s fellow gods grew tired of his reign and devised a plan to overthrow their leader. Led by Anubis, the god of the underworld, the Egyptian deities rebelled against Ra and stripped him of his power. Unable to wield the sun’s might for themselves, the gods locked Ra’s power inside artifacts hidden in pyramids protected by deadly traps. As centuries passed, the Egyptian gods faded away into myth, leaving only ruins and relics to tell of their tales. Believe it or not, Dino Crystal Caves was not always the thrilling race track it is today. Before the tracks and ramps were built, Dino Crystal Caves used to be an excavation site where paleontologists searched for dinosaur fossils. As they dug deeper for these rare bones, the scientists stumbled upon an unexpected finding—precious gems. It was not long before news of this site’s unparalleled value spread and the masses began storming the caves hoping to get their hands on precious jewels. After a frenzied search, the crowds left believing they had claimed all of the crystals the caves had to offer. Only the paleontologists remained trying to round up the scattered bones. Resuming their search, the scientists dug deep into the heart of the caves and uncovered secrets not even the public could have imagined. In the darkest recesses of Dino Crystal Caves lay thousands of shining gems guarded by the fossils of their dinosaur protectors. Afraid that new rumors of treasure would bring back the greedy populace, the team of scientists abandoned the excavation site, claiming that it was empty and too dangerous to explore. 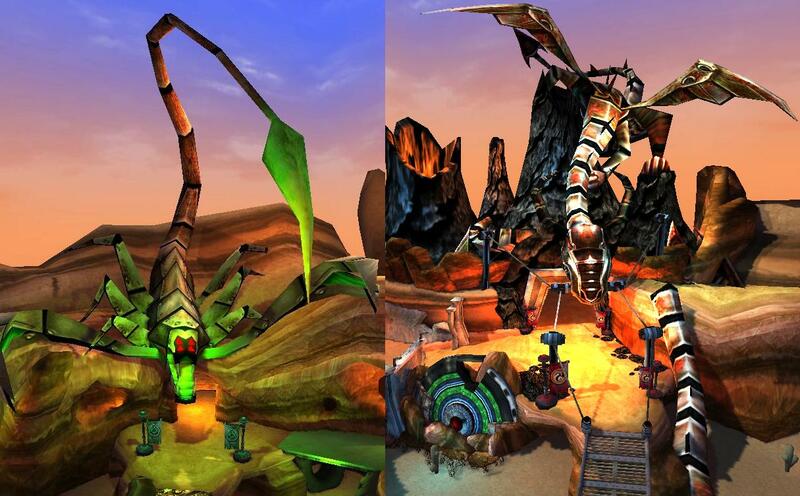 Years later, the Dragons and Scorpions came across the abandoned site and chose to use it as the location for a race. With no security or outside presence anywhere to be found, Dino Crystal Caves was the perfect spot for a heated competition between these rival teams. However, neither group could have ever imagined what challenges and awe-inspiring sights were housed inside the caves. Head over to Dino Crystal Caves to see for yourself what the scientists hoped to keep an eternal secret. The mystical Snowy Cliffs were always thought to be uninhabitable and dangerous, no place for someone to race. But when a few brave explorers finally climbed to the top, they discovered that they were wrong. On the three peaks of the Snowy Cliffs were three raceways left by an ancient culture, perfectly preserved in pristine condition. Further exploration of the Snowy Cliffs has revealed an ancient tribal village, abandoned without any trace of the people that once lived there or why they might have left so suddenly. The village was centered around hot springs, the bursts of hot steam providing much-needed warmth to the chill that envelopes the Snowy Cliffs. Perhaps there was some sort of volcanic activity that had scared the villagers off, activity that ultimately did not result in anything. Read More about Snowy Peaks! It’s Time to Clean out Your Garage! 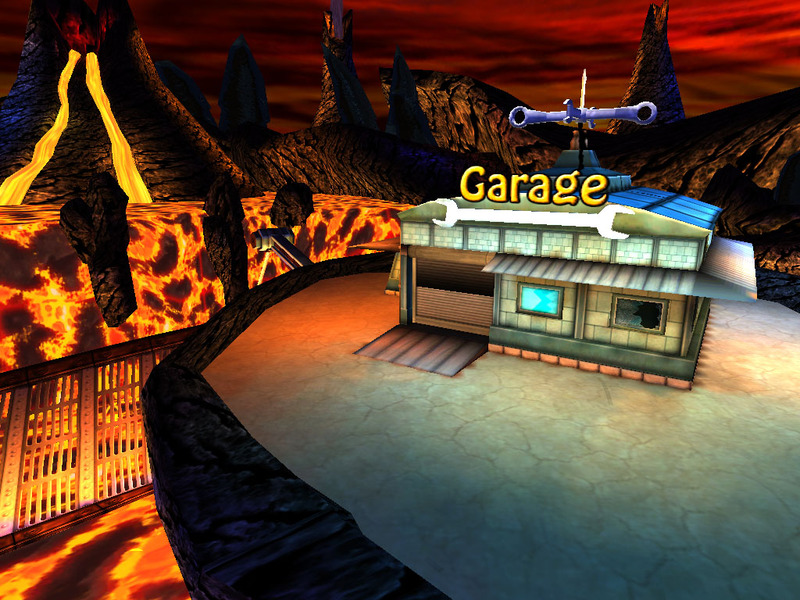 In Eat My Dust, your garage is your in-game home away from home. 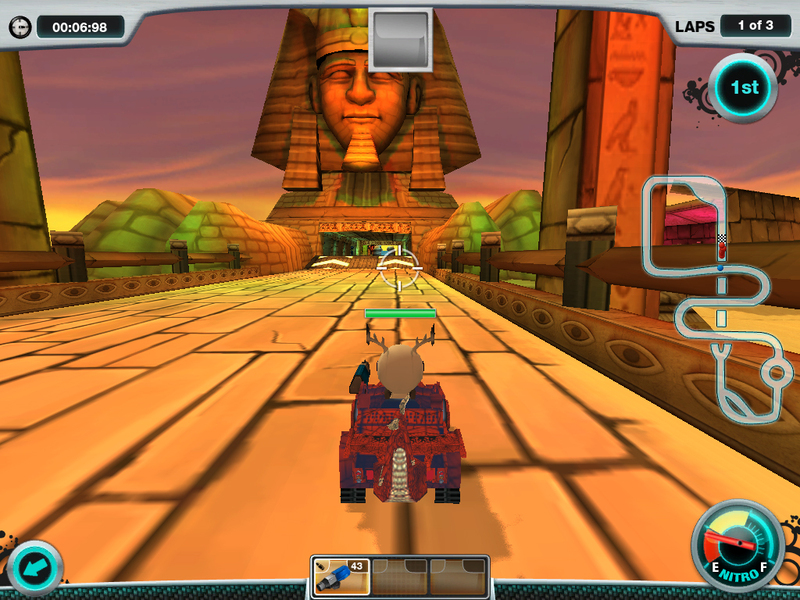 It is where you and your racing pals can sit back and relax without those pesky zombies making the rounds. So, with spring in full swing, why not get a little spring cleaning done and amp up your garage’s unique look. Show off your personal style by adding TVs, pool tables or other gear to your garage. Make it the talk of your team’s den or, better yet, make it the talk of the entire Combat Zone! To customize your garage to the fullest, you will need to purchase Turbo Bucks or continue earning coins on our most challenging tracks. Start your spring cleaning and let us know more about your garage’s awesome new look! Hey Racers! Today is the third day of the Guess the Picture challenge. 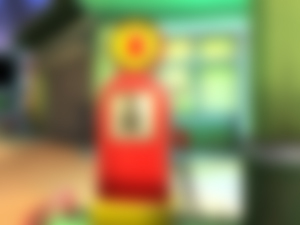 Wrench had been sending over clues to us, trying to make things easier, but we still have no idea what this picture is of! Have you been able to piece together any of the clues? This is your last chance to help us figure out the image, so do not delay and submit your answer in the comments today! Just a reminder, the first five correct answers will win a prize of 200 coins. Just imagine the car customizations that you could buy with that kind of prize money!